Breaking Bad, Lets cook chopping board. A fun and unique Chopping Board. The perfect gift for any breaking bad fan! 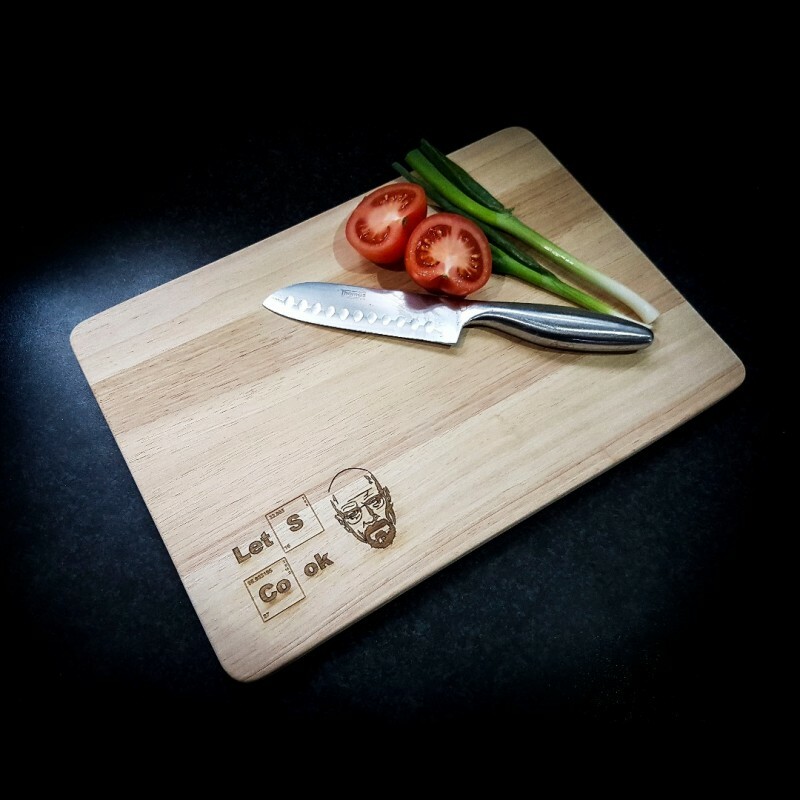 Each chopping board comes with a laser etched lets cook image at the bottom left, leaving plenty of room for that all important chopping. All our chopping boards are made from solid pine and each is made to order. Our wooden chopping boards are the perfect gift for any occasion. All our chopping boards are made from solid pine wood and finished with food safe mineral oil. Chopping Boards can be cleaned with warm soapy water, hand wash only and gently dried. They are not dishwasher safe. Our chopping boards are available in two sizes.